Click to see the list view. This tool makes it easy to browse all of the dimensions and metrics, identify valid combinations, and get comprehensive definitions and descriptions. Click to see the description view. No wonder it’s the third most visited page on the Analytics Developer site. Modes - easily see how API names map to Web View Names, and App View Names. ‘Allowed in Segments’ - Quickly see which data can be used in segments. Updated descriptions- See more details like data type, index ranges, UI names, deprecation status, calculations. For example, see the Custom Variables and Columns group. It’s fast! - No more page loads as you browse and switch between modes. 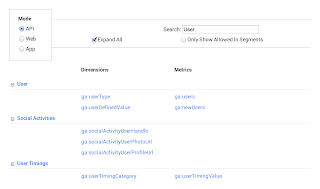 Deep links - Share details of a specific dimension or metric by copying the URL of any view. 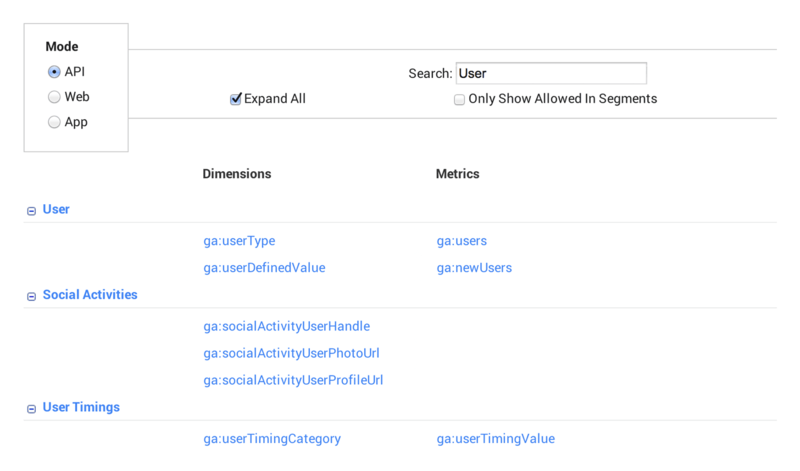 Automatic Updates - The Metadata API is now used to power the Dimensions and Metrics Explorer. This is a big change and means the tool will automatically update with the latest dimensions and metrics as soon as they’re released. 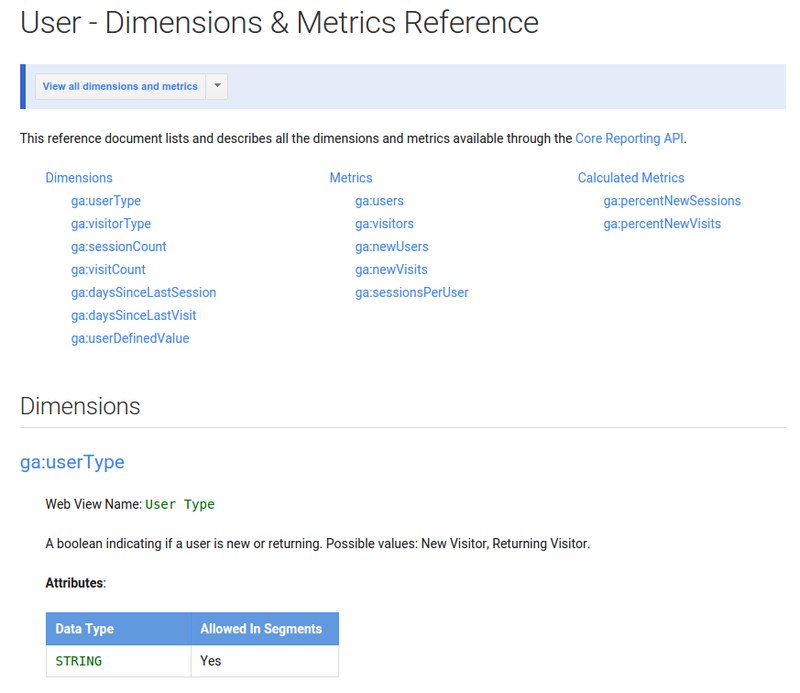 Visit the Dimensions and Metrics Explorer and tell us what you think. This tool is built completely using the Metadata API. If you’re thinking about developing your own tools with this data, get started here! 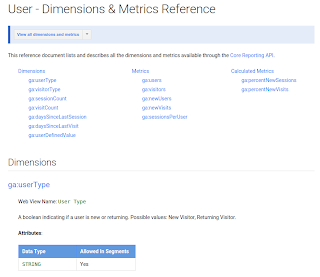 To make it easy to navigate all the 270+ data points the Core Reporting API exposes, today we launched version 2 of the Dimensions and Metrics Explorer.